Prophet CRM expands and transforms Microsoft Outlook into a powerful CRM solution. Prophet’s unique integration with Outlook leverages the work you and your team are already doing in Outlook and automatically associates that activity with the appropriate customer opportunity. The timeliness and depth of customer-based activity data you get from Prophet will improve both the efficiency of your sales team and your sales results. The integration into Outlook is invaluable. The ease with which you are able to switch between outlook and prophet is so convenient. The ability to send group emails and have those registered in the contact's notes makes it easy to track reachouts. The flexibility of the opportunity template has allowed us to use as a support and service tracker as well. The reporting section is a bit clunky, and not as flexible as we would like it to be. Also the assignment of departments and the difficulty in using the different opportunity templates adds extra steps when working outside of your department. The app is very basic and not as dynamic as we would like it to be. I would recommend the cloud based version. With outlook anywhere sales people on the road are easily able to update opportunities, contact notes, add contacts, and easily keep things up to date. The hosting service has been very reliable with only one short time of less than 1 hour where the server was down. Staying on top of opportunities, tracking customer reachouts, and putting in place sales and service processes that Prophet is designed to support. It's great to hear that you see Prophet as an invaluable application. We are pleased that you are using it in Sales and Support. Getting these teams connected around the customer helps both teams and gives us a better, holistic view of the customer. We call this Total Company Selling. We hear you on the reporting side and are working to enhance this area. We have found that customers who fully utilize Prophet Views often find this as a great dynamic option for data dissemination. Feel free to reach out to your Customer Success team for guidance if needed. Thanks very much for your review and feedback! "Great CRM option in marketplace"
Very intuitive program. It is easy to teach to others. Works seamlessly with Outlook. Can't wait for the next upgrade. Love that everything is in Outlook and other users can view various activities of other users. Great data in the analytics section of the program but takes awhile to learn it. One of our users described it "It is a click-a** happy program!" It does take a lot clicks to do things but then again what program isn't? I wish some of screens weren't locked down for additional customization especially having a customer type segment on the main company screen in company manager. Received some wrong advice from our initial rep which put the customer type into an area that cannot be searched! Data migration was a pain but we eventually got everything we needed into the program. Be sure all your data is set-up properly in advance of the migration. Avidian does a good job of working with your IT people to be sure this happens. We are able to analyze potential sales in varying stages. Our account managers can create a variety of views based on any number of search criteria to pinpoint their marketing efforts. (state, city, area code, etc) With a revenue screen view, they should never miss opportunities to followup on quotes. Shortly we will be redoing our market segments in Prophet and be able to zero in on marketing opportunities by market groupings. "Avidian Prophet. Tracking our Opportunities more Efficiently"
Functionality with our existing software and controls. Avidian Prophet uses the Microsoft Outlook framework that we are all used to and makes the software an easy extension of our normal work flow. This does not require an extensive training program for new users as the use of the application is very intuitive. Other than function of the software, I would have to say that the Customer Support team is second to none. I have never had the personal attention and care from Customer Service personnel as I have had with the Avidian team. There was a small learning curve to understand how Outlook Contacts interact and sync with Avidian, but after a short explanation, this is not a problem. 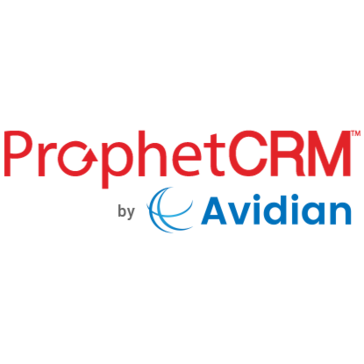 If you are looking for an efficient CRM solution that will not require extensive training and on-boarding, I believe Avidian Prophet to be the solution you are looking for. We have several roles in the company that are responsible for Business Development activities and the Avidian Prophet software offers a solution to track all of the corporate opportunities in a single location that all Users can access in real time. The Prophet application allows for all stakeholders in the project to save their notes, correspondence, documents and communications in a single, easy-to-access location, while simultaneously synchronizing with your Outlook Contacts and Tasks. "CRM Integration with Outlook. Prophet ease of use and setup." I believe in leveraging skills that have already been honed and the best way to do that for our company was to use our current skill set with Outlook and add a very robust CRM like Prophet that integrates with Outlook seamlessly. We have been able to automate a number of recurring sales automations tasks as well as provide management with custom reports when necessary. The support from Avidian has been nothing short of fantastic. The administration portion of Prophet needs some beefing up but overall I believe that the Avidian software development team is headed in the right direction. The latest release with Analytics is great! We accomplished both sales lead tracking and pipeline management but we also track the customers who buy from us. We effectively combined two systems into one. There is a wide range of customization and multiple layers of information. Sorting data by almost any parameter is easy and effective. You need to know exactly how you want to use this system from the get-go, otherwise it becomes difficult to analyze massive amounts of information and leads. Know exactly how you want to use this product before you implement it within your company. This will make your data more useful in the long run. Prophet CRM helps us to maintain constant communication with any lead, regardless of importance. This has lead to us garnering sales from customers we'd have forgotten about in the past. It also helps us to sta at the top of leads' minds, making it more likely to eventually convert them. Thanks very much for the positive and constructive feedback. We have developed a Prophet playbook to help with CRM project pre-planning and post-implementation data governance. Your Customer Success Manager at Prophet is happy to share. We agree that future -proofing your data and turning into actionable insights will deliver the best outcome(s). "As easy as using Outlook - no need to learn another package"
I've used a lot of different CRM packages over the years, and Prophet is so easy because it feels as if it's an extension of Outlook. Everything feels familiar if you're using Outlook and so far I haven't found anything that requires truly specialized learning. The learning curve was essentially non-existant. I WOULD have said my only real complaint is there wasn't a good iPad version available, but that has been remedied over the past few weeks. The new mobile platform is good, simple and easy to use. While it doesn't provide all of the functionality of the desktop/laptop version, it does allow me to do everything I need to do while in the field. So there's nothing that I truly dislike about Prophet. The product support has been fantastic. Not once have I been less than totally satisfied! We use Prophet for contact and opportunity management, and it provides us with a quick and easy way to capture the data we feel is important to our business. Since most, if not all, of the fields are user-definable we've been able to tailor Prophet to fit our exact needs. And when we've decided to change, delete or add fields, the modifications are quick and easy to make. "CRM That is Customize able and So Powerful"
What I like best it that it took what I was already using on a daily basis Microsoft Outlook, and gave me a way to keep step with all of my clients. I was able to use company jargon and product tracking and keep records on areas that I have to create in my monthly reports to my bosses and board. The most help has been with the support, and the classes they provided, and along with the YouTube channel of demo's I was able to watch, and try out some of the tips and tricks. I have been a user for a long time, and each year I seem to discover more solutions on how to make use of this powerful CRM software. I wish I understood the reporting side of the product better. I would love to be able to put out better looking reports, and add some of the things that I see in the video's. I know that this takes some practice, but the only opportunity seems to only arise when I'm under the gun for results. I do use the established reports and they do just fine for the report I need to generate. Can't wait for a Android version of the tablet use. There isn't very many apple users here at my work we are all on windows platform. Keeping track of the companies that I work with on building relationships with both their employees and the employer. I have several work areas this does make it easier to handle the cities, and my last contact with them. I now have a laptop that allows me to use this in the field. This has been way more helpful to do it there. In the past I had to come in and transcribe my notes. Love the automatic tickler area when the reach outs that happen because I have set them up. "Initial setup and experience with Prophet." Initial support and setup was excellent. Backend support post launch, weak at first. Make sure you have a detailed post implementation plan and have your long term support specialist involved about midway through your implementation. If they come in at the end you are having to retrain a new support person from their company, which is not helpful. These guys are knowledgeable and willing to provide assistance, but can be a bit of a hassle in the short term. Secondly, they are beginning to offer some interesting webinars and information, but their first run at this was cumbersome and didn't go off well. Might give some insight into their ability for long term strategic development. So far, we like the system, but are not using anywhere near capacity. Tracking and ability to review information as field reps develop processes. Field reps have begun to see what their efforts are producing and the actual activity levels the are performing at/above. Prophet was a breath of fresh air when I discovered it. I've been a user for over five years. It is so tightly integrated with Outlook that using it is like using a feature of Outlook rather than a 3rd party app.. Why would I ever want to use a less tightly integrated CRM? And their support is second to none. You actually have an account manager assigned to you, which creates a more meaningful support relationship. They could do a better job of describing the different standard reports available. The names don't differentiate them as well as they could. Take advantage of the account manager assigned to you! "Implementing Prophet has given us the efficiency that we were looking for. " That tracking of all contact made with someone and the options to track all activities within the office. The linking can result in multiple users being linked and involves constant clean up. The support Prophet (especially Roger) has given us in making the system what we would like it to be has been great. We appreciate their continued support in making Prophet continue to work with us with our changing needs. If any has a company/office that struggles to find ways track opportunities, increase production and secure record keeping than Prophet is a great option. Prophet has allowed us to track all activity which results in more efficiency within the office and record keeping has improved. "Prophet CRM has given me the details of customer tracking the easy way"
The integration right with Outlook and all the other Add-Ins together make it so simple to operate in one environment without switching, transferring etc. Not having the data available once yo are offline I still dislike. Planning that is sometimes not possible and depending where one travels, Being online is not always possible. It is getting better however, due to the availability of WiFi at more and more places. My notes are all in one location, I have projects, reminders all linked together and thus I can manage a day, a customer or a project easily. The Avidian Prophet CRM product has proven to be a very easy to use product that is imbedded in Outlook. The application Interfaces very well and allows my department to track our sales activity easily. The product support is outstanding and when I've run into an issue they respond very quickly and with knowledgeable suggestions. The product is outstanding and the service is even better. The security built into our company servers does slow down the launch of the product. But that is something I've become accustomed to. I researched several CRM products before purchasing Prophet a few years back and this product has been perfect for my purposes. As well, the support we receive from the account manager and from the help desk support is outstanding. Avidian Prophet CRM has allowed me to track and respond to new and existing customers easily with access to important information at my fingertips. The historical information is key for my business and having my support staff access that same information is critical. I can't imagine working without this tool now that I've used it for 2 years. "Easy to Use; Great Support"
Customer support from Prophet has been great. I am not a power user, but every once in awhile, I have questions about Prophet. I get fast, accurate responses in no time. I've had a few computer issues over the past year, as well, and having a cloud-based CRM has been a big relief - nothing lost! Prophet is the one and only CRM I have used, and being able to easily track correspondence is really valuable. I may only have contact with a client once a year, so remembering or tracking down term, special needs, etc., would be cumbersome without Prophet. Would like to be able to merge customers, when I've found I've created duplicates. Tracking correspondence with customers and noting relationship issues is very important in my business. Having a CRM that seamlessly manages this information is a huge benefit to me, particularly since many clients only interact with me on a once-a-year basis. "Amazing User Service once purchased"
The fact that technical support is one call away and they will help you over the phone immediately if possible. They can also set a date and time to do a quick refresher course or set up new training for you on a function you have never explored yet. They will take control of your screen and walk you through your specific issues, so you can complete the task with them right there. The reporting section could be a tad bit more user friendly, although with tech support there to help you it is easier to navigate. They will help you create a report template that you can save and use over and over again. Very user friendly due to the fact it uses Outlook which pretty much everyone is familiar with. For follow up purposes this CRM keeps you very organized. You can create a task within an opportunity and it will populate (if you like) into your outlook calendar and send you follow up reminders. As a sales person this is key! The integration with Outlook is clean and using a platform we are all familiar with makes life easy when using this CRM. A more robust mobile application will be a nice addition to the overall platform. Do your homework, but if you want a solid platform that easy to navigate and simple to use, then Prophet can help you and your team manage the sales cycle, customers and opportunities. Organization of data, managing pipelines, capturing information, etc. We were in the twilight zone and now we have structure, visibility and accountability. "Overall view of current and closed opportunities, group emailing and lead maintenance." Group emailing function. Allows me to split between agents / partners and customers and can easily ensure that the right people get the correct notifications. That you cannot switch back and forth between PROPHET and Outlook so when you leave the program you have to go back in and start from scratch each time. Great tool from User level to administrator. Easy to track progress, run reports & most importantly keep in front of the customer / prospects. PROPHET allows us to keep in front of customers . prospects easily. "It was pleasant and quick. " The support and knowledge center. I like the layout of the website with the use of the FAQs, and the access to cases on-line and the support. I am happy that I can talk to someone in the US. Furthermore, the attention of detail with their integration of Outlook and workflow provides the access to information I need when dealing with clients and prospects anytime and anywhere. There is a flexibility there which I like because as my business grows, I can mold Prophet to fit my needs. I don't like the fact that the software does not install correctly the first time. Everything start with the first impression and the first thing, your software is flawed when running the installation packages. I also that you cannot toggle between the contact, company and opportunity manager on 1 screen. I have to open separate windows and ALT-TAB between managers. It is a little annoying at times. Also, why can't I share my custom views with others? If Prophet is supposed to help us collaborate, that would be one of the first I would want. If you are looking for a web based CRM that also integrate with Outlook. Then I would recommend this product based on the price point. Workflow, transparency and reporting. I like how this integrates smoothly with Outlook and the fact if I am remote, I can still get access to the data on an iPhone, iPad, or PC. "Prophet provides a superior productivity and funnel management tool." The ability to customize sales reports and to pull and review funnel reports with sales reps. We also use Prophet as an Account Management tool and I am able to review activity with our Account Manager on all our existing base of clients to monitor contacts, distribution of newsletters, and new services sold. I'm also able to monitor and measure the churn rate of our base. We are very pleased with Prophet and do not have an area of dislike. Understand the full breath of the tool especially the ability to customize reports to fit the specific requirements of your business. Measuring productivity of sales reps and account managers. I can measure close ratios and contact frequency and determine reps effectiveness in building funnels. One of the key benefits realized from using Profit is that it has allowed me to set realistic productivity expectations for sales reps and account managers. It is very easy to use and make changes to the software as grow with it. Visually I wish there were some color options which might make it easier to distinguish on item for the next. We are finally able to coordinate our inside and outside sales efforts. This has helped use to follow up on more quote and to grow our business. We are operating fast and more efficiently. "Support ticket unanswered for three months." I can't say that I have had a good experience. I have emailed and reached out repeatedly to correct issues, including my sales representative Kaye, and my account manager, Donnita, on multiple occasions and have consistently seen no response because they don't seem to have any sense of urgency to communicate with me. I can organize my follow ups and my prospects. Sorry that after so many hours of effort on both sides, that we are unable to get you launched to your satisfaction. We will review all of our steps to see if there is any other way to set you up for success with our product and with the resources you have on your side. Thanks very much for the feedback. "Must have product to keep on top of your clients." I love that it is integrated with MS Outlook. It makes setting appointments, tasks and reminders simple to keep track of. If you sync your phone to your Outlook calendar, then you get all of them even while on the go. I wish there was a MOBILE app or the mobile website worked. It's a little frustrating that to have to fire up the laptop of the road to update something when we could just do it on our phones. If you are using OUTLOOK for work emails, this is a no brainer. Get it and you be glad you did. It's helping us effectively stay on top of our current clients as well as the pursuit of new ones. We are generating reports from the system to track how our sales staff is doing and see how they are going from week to week as well as monthly and yearly. "Avidian's Prophet Does a Great Job for CRM"
Prophet is a powerful, full-featured CRM that integrates easily with Outlook. The ability to use add-ons to the main contact and calendar tool we are already depending upon made the decision very simple. I looked at probably eight to ten different CRMs before finally deciding upon Avidian's Prophet. The other key factors in their favor are: dollar-for-dollar the flexibility in managing the new business "opportunities" we are creating and tracking, as well as the back-end customer service needs, was better with Prophet than any other platform. The report creation and customization features are not all that friendly. Once you understand the steps, it gets easier, but it's the least user-friendly piece of their platform. If you're a small to medium-sized company, on a budget and already use Outlook as your main communication tool, then Prophet is a terrific fit. Better coordination and real-time information-sharing of sales lead and new business data means better decisions and greater focus on the targets that matter most. "I recommend this product to every sales rep I work with!" Being that it is an Outlook add-on makes it very intuitive. It is very easy to learn and use. I am most impressed with the company and contact management portion of the program. My boss loves the reporting features. The email function allows me to personalize emails to multiple customers with the same information. The mobile app for Prophet is extremely limited. It works ok for looking up opportunities but most of the info on the app is already synched with my phone. I think it may be more useful on a tablet if you could have the full suite available but it just doesn't do what i need it to on my phone. If you like an easy to use product that tracks your customers and opportunities right in Outlook you have found it! I use this product independent of what my company does. I uses it for customer management and opportunity management. I have been able to close more sales by staying on top of opportunities that would otherwise fall through the cracks. "Everything I'd want it to be"
Easily organizes emails and appointments and documents all in one place. I love being able to attach one person to several different groups. I also like that it is tied in with Microsoft Outlook. Should I ever need to change my CRM, all my contact and appointment information is still available to me. This was not the case with my last CRM; there was no integration with Outlook, which is part of the reason I switched. Technical support must be done via email, and often takes hours to get a response. I would much prefer to be able to call in and speak with someone live when the problem arises. I previously used Goldmine. At this time, I loved it. However when I went to upgrade the program, I learned they had discontinued their small-business support, and the license fee was now way beyond my means. My concern was that I wanted access to my 10+ years of data on Goldmine. I looked around and Prophet was the best I found. I particularly like that it integrated with Outlook. I figured that although I might want another CRM in the future, I would always use Word. Now that I have learned how to use Prophet CRM, I much prefer it to Goldmine. I find it more dynamic, and it is a fraction of the cost. I was both self-employed and a full-time student. I have a lot going on, and this program has enabled me to stay organized and efficient. "I have used Avidian Prophet for the past year. " I really enjoy that all CRM features are all within Outlook. It really makes the workflow so much more simple. I really like not having to switch between programs. I have tried other CRMs that were supposed to synch with Outlook, only to end up with duplicate Contacts. Not possible with Prophet. Also, the search field is very powerful. Nothing so far. I don't use many of the sales & pipeline features that are available. Will look into expanding my utilization of other features the program has to offer. I might like if the Prophet was more pronounced in the List, maybe Bold Type Font. If you want a CRM that works well within your Outlook program, this is it! I have tried many CRM programs over the years and Prophet is what I was looking for all along. I really like that I do not have to synch with Outlook. Everything is included and available within Outlook. No switching between programs is what I really like. Makes work flow much easier. Contact manager to enhance Outlook's abilities that did not have to be synched with another program. Prophet CRM is exactly what I was looking for inn that regard. All contacts are the same within Prophet and Outlook. No synching necessary. I can not stress too much how useful that feature is! "The easiest for entering new opportunities"
I like that the format can be customized from the administrative level. I can set which fields are required to be entered into the contact, opportunity, and company cards to help with creating better pipeline reports. I dislike that you cannot do a mass update on something like the close date. Each card opportunity card needs to be individually edited. For us, our sales cycle with prospects is annual, so once the date passes, we need to be able to easily push the opportunity to the pipeline for the next year. Be sure to really think out your sales process instead of back-peddling a few months down and losing all of the data that had been entered. Also think about what types of reports will be important and create fields or options for it. We are solving the problem of too much data being stored all over the place. Linking files and emails to company and opportunity cards has helped to reduce the amount of time spent looking for prospect information. Prophet is a tool that fits our very specific need, while maintaining a complete flexibility with what we wanted to do. Where we were previously working from several spreadsheets and post it notes, now we are able to maintain a flexible and clean database spread across several states with quite a few employees. At times, the server hosting our information can be slow, or simply wrong, causing a lot of heartburn when dealing with our data. Data clarification could be better. Spend some time working in it and try to set up a dummy account first to get an idea of the tools. That way if something goes wrong, and it might, you can fix said issue or re-do it without losing your own data. Without revealing too much information, we use Prophet as a way to keep track of business we've done from the creation of the potential deal all the way to closing. "Green Flush Review of Prophet CRM"
It interfaces with Outlook. This makes it easy to use as I spend almost all of my time in Outlook. It is not as intuitive as I would like it to be. I am actually following up with leads and when I do I have detailed notes. This is helpful both as a tool for sales and project management. Thanks for your feedback Kyle. Glad you like the Outlook embedding. Let's talk when convenient on how we might make Prophet more intuitive. That's super important to us. a little cumbersum when you have to update address changes etc..
Rick, thanks for your feedback. We will have our user experience folks review the address update process as we look to the next versions. Glad to hear you are all about keeping those opportunities updated! We have seen a common thread to all sales talent that consistently hit their quotas: their pipelines and opportunity details are always pristine and up to date. Without a doubt, the best thing is that the CRM is built into MS Outlook. I've used several other CRM's in the past from the biggest out there to a few smaller cloud based ones, and they all lack in that you have to enter info into Outlook and also the CRM. Some have syncing abilities, but those were not great. Prophet is great since it resides and works within Outlook, which most have open all the time anyway. 1. Prophet needs a smartphone (Android, Iphone, Ipad) app and they need it soon. All CRM's are moving this direction and while being able to log into Prophet Mobile on a browser does work, it is really only a basic informational platform and not real powerful compared to other CRM's I've used. I hope this is on the list of features being developed by Avidian. 2. The Addin is slow to load and Outlook warns me all the time about how long it takes to load. 3. I don't know why when I enter contacts for example, they go into "all contacts" list and I then have to assign them to myself. This is a time waste. It should automatically assign the companies and contacts to the logged-in user without intervention. If you want CRM that is truly "inside outlook" this is the one to try. Many other claim to sync with outlook, but some work well and some not so much. Organization and keeping track of all my prospects info, emails, tasks, and opportunities was the the number one challenge that Prophet has helped me get control of, all within Outlook. Benefits have included being able to reduce my CRM time since all info is within outlook. "CRM Great System, technical implementation difficult"
The system itself is a great way to keep your customers organized. We are able to e-mail based upon customer groups and not just mass e-mailing. The technical installation was done by the Avidian company, but we had a lot of issues upgrading from a local server to a cloud server. We still are having technical difficulties here and there with computer compatibility. I don't have time to keep contacting technical support every time I have problems, I would like it to to just work. Work out all of the bugs during the first installation. We try to keep in contact with our customers in a personal way, but with thousands of customers, it's tough to be personal with everyone. this system allows us to keep track of our customers, set reminders to e-mail, and keep notes of past orders. My associate and me had been reviewing and evaluating CRM products for several months. Also, In speaking with various industry acquaintances we had also been getting feedback from them on the products they were using for their organizations. Products like Sales Force, Microsoft CRM and a few others continued to come up in the conversations. All good products in their own right however, we determined that we were paying for features that we would never utilize. Then we came across Prophet CRM. Prophet just had the right balance of features to cost and most importantly allowed us to operate out of and in our current Outlook database. Even more, is the excellent implementation support from our account support person, Amanda... she is just what the doctor ordered. Too early in the process of implementation to truly assess everything but the immediate weakness is the limited functionality of the mobile application. It is very limited in function on IOS and Android platforms. While it does allow for adding new contacts and reviewing information it needs to allow full feature function on IOS and Android. Our key reasoning for adopting a CRM platform was to add structure to our sales process for scheduling activities and for the follow up on those activities. Secondly, we needed to have more insight and control into our process pipeline. Prophet is allowing us to do these things. "Amazing Service and Funtionality with Prophet CRM"
As with any new product there is a learning curve. The staff at Prophet have been extremely responsive and helpful. We are a small business with not a lot of resources, this tool has already enabled us to streamline processes and communicate more effectively and professionally with our clients. More importantly, the office staff is always up to date on a clients status and needs. The fact that it works with Outlook has made the transition to Prophet very smooth. We are able to track everything we do a do measure everything that moves. The best part of this implementation for me is the level of support that has been provide. We have had some major malfunctions (self-inflicted) and Roger Johnson and his team have been so helpful and life-saving. There is so much functionality that I know I have so much more to learn. This is actually a good problem to have. Communication, pipeline, client information - all of the functions within Prophet allow us to be better communicators both internally and externally. Using Prophet helps our team communicate with each other on the status of employers looking to hire our graduates. The software is intuitive to users so there is very little training required with new users. Search capability is easy and quick and can be done while speaking with someone on the phone or working with students. Results can easily be exported into Excel. We customize the software to fit our unique needs which takes time and forethought. We are able to track communication with employers and make sure follow-up happens with our employers. Before Prophet, we didn't feel like we could keep up with the call/email volume and provide excellent service to our employers. With this product, our efficiency has improved and long term relationships are easier to maintain. "Prophet 7 upgrade - so worth it!" The format of the contacts. Before it was very confusing between our Outlook contacts and Prophet contacts. Also, the way the contacts were listed in Prophet (5) was terrible, they were sorted alphabetically by FIRST name. Prophet 7 makes it much easier. Also, the ability to customize your screen is really nice. More freedom to view things you want. Also, the customer support in getting us all upgraded has been fantastic. The installation is a little confusing but the customer service rep helped. You can uninstall/install on your own but there are small steps that can be missed. We have 5 licenses so we had the rep install 2 of the upgrades and the other users have to do their own. The contact situation. This has helped us clean them all up. Also, the reports are useful to track business. "Concise, easy to learn, versatile, and seamless. " A large population of our company is dedicated to codis and there is not a way to integrate codis with the CRM and that creates a lot more work when communicating with the people only using codis. Highly recommend for users of all aspects of customer service as well as contact information. Easy to learn and use. Once you understand the basics you can incorporate using it in so many things you do every day to become more efficient. We are able to keep track of contact with our dealers through the CRM and keep a record that is very easy to access. Many of the people that are using the CRM had no experience with this type of program and they were able to start using it effectively with a couple of hours of instruction. We are seeing much better communication with co-workers in the same department regarding interaction with dealers and information that can be reviewed for future reference. Maintaining current data regarding our dealers is extremely important and it is very easy for all users to update contacts, phone numbers, and email address's for all our dealers. Prophet CRM is an easy to use CRM that is Outlook based and is extremely user friendly. Tagging/tracking/managing clients for both current and future use is easily done and efficient for all members of our team. Easily shows company and team member production. Prophet CRM / Avidian customer service, whether it's technical support or team training, is over the top - fabulous. Great program for managing the different client types and stages for our real estate office. The only complaint we have about this fabulous program is the mobile CRM app doesn't work as well with iPhone as with Droid. All of our agents, and most of the staff, have iPhones. We hope they improve the functionality of this in the near future. Jump in, schedule training and watch their great videos/tuturials. We have solved linking email to clients in our CRM and also have the ability to use one program to generate and track income generated for both sales people and company production levels. It's fully integrated w/Outlook so your simply adding additional data & custom fields right in the program you use every hour of the day! It's pretty intuitive & allows reasonable customizations & formatting of where the fields reside, for easy & logical workflow. I have used Goldmine, ACT, Pivotal, Seibel, SalesForce & Oracle/Seibel. For small businesses, this is the best product I have used. I'd like the ability to move the locations of some default fields that I don't use. It takes awhile to load Outlook when there are lots of Avidian add-ins to load in. I wish it coul load faster giving you immediate basic functionality while the rest loads in the background. The reports are difficult to set up initially. Do trial & set it up& kick the tires to make sure it meets your organizations needs. Total knowledge at UR fingertips of everything that has gone on in the acct including attachments&contracts associated with the acct & ALL correspondence, in one place. It blows up Outllo into an invaluable tool. "I tested this product for a while, and enjoyed it. I now use it in conjunction w/ Outlook features." My favorite feature was being able to see all e-mail communications with particular individuals without having to do a search in Outlook. It tracks all of the communications, can group them by sender or recipient and can track the actions needed from there. There was a learning curve on what all it was able to do - for example, I didn't know until I'd had it for a week that it was able to do what I wanted. Until I figured it out, I thought it didn't do at all what I'd hoped. I had to discuss it with an Avidian employee to explain what I wanted it to do before I realized it could actually DO what I wanted. Talk to one of the representatives to explain how you want to use the product, and they will be able to tell you if and how Prophet CRM can help you. It is capable of doing so many different things for so many different types of work, that it'd be surprising for it to NOT be usable by your company...but the uses may not be readily apparent unless you ask or watch lots of videos detailing what the capabilities are. I'm a staffing manager, so my primary use is tracking communications with individuals and actions that result from those communications. I did not need to use any of the social networking aspects or mobile offerings. "Prophet CRM from IT Manager point of view"
I didn't use Prophet CRM a whole lot as an end user. I was responsible for working with Avidian to get it deployed and providing day to day support. Avidian's technical support team was very helpful getting the product deployed, and later, getting it moved to a hosted environment. They made my job as an IT manager quite easy. The end users I worked with used it on a daily basis, and the only downside I saw to the product was that the Outlook add-in caused delays in startup time, and Outlook would periodically disable the add-in. Re-enabling it is a very easy fix though, and that was the only real issue I had to deal with. From a technical perspective, I can't think of any reason not to use it. I can only speak on the behalf of the users I support, but they're previous CRM solution was a shared contact list. Prophet CRM has had a noticeable impact on their sales process (in a good way, of course). "Great tool for any business!" The ease of Prophet is amazing. I have 8 sales people that I track use Prophet. The sales people love it because they can add info wherever they are in the US as long as they can get on the web they can enter info and don't have to wait to get home to complete. We have customized the program to fit our business and are continuing to tweak and add more information. What amazes me is in using this program for two years the amount of information that is at a persons finger tips. I would recommend this and have! sometimes I do find it hard to find a project/company and always have to go back to do an advance search. One spot that the sales people can enter their info and the others in the organization has to go to one place to pull reports or look up a project. We like the instant familiarity with the Prophet system....for Outlook users, it's a very intuitive environment to work in. The seamless integration with Outlook really makes picking up the system quite easy for new users. Perhaps our biggest challenge with the Prophet system is finding ways to customize or "tweek" the software to meet our particular needs. There are ways to add custom fields and pull downs, but some of the work-arounds aren't quite as easy as we would have hoped. In the end, we can usually make it work, but sometimes the solution isn't the ideal design that we would have preferred. Tracking our business sales opportunities was the main reason that we have been using Avidian's Prophet software. We've been using the software for about 8 years now and it's an integral part of our sales management process. We've been able to increase our revenue by following up on sales opportunities and tracking those opportunities through to completion. "Prophet is a great way for me to keep track of my customers and prospects. " My favorite aspect of Prophet is its ability to adjust to our companies selling process. We have customized numerous aspects of Prophet and it has allowed us to tie in our selling system nicely. Prophet also has also allowed us to establish a real time log of which sale rep has what account and how long they have been pursuing that specific account. The part of Prophet I dislike the most would be the ability to add new contacts and companies. The process can become complicated and duplicate itself if not entered properly. It took me some time to master the process. I would recommend this product to other similar sales organizations. The customer support and ease of use has allowed my business to grow and has allowed me to become more organized. We are solving the the speed it takes to either close an account or move on. I have noticed that some prospects and customers are not a good fit for our company quicker, which has allowed me to save time. "Easy to use product and great support!" Anyone who is familiar with Microsoft Outlook can quickly and easily become proficient with Avidian Prophet CRM. If you can create and manage contacts, use your calendar and tasks it will be an easy transition for you to log all sales activity in one place! If I could change anything, I would have the 3 separate databases "speak" to each other. Be sure to get your sales leadership on board, especially during implementation. Their support will be critical to its success. Great visibility to contacts across the organization, which covers 75 users across multiple states and within Canada. We are starting to use the tool for marketing purposes and looking forward to using the MailChimp integration soon. "i was pleasantly overwhelmed /impressed with the superior customer service. " the flexibility in setting up the program to my specific needs. the sales and customer support are "super" - with follow through, customization, details, suggestions and patience - plenty of patience. what was very impressive was how the prophet staff tried to understand my business - came up with specific customization plans and strategies. working with Donnita Weese on the purchase - I didn't feel like I was being sold, I felt like she was teaching me about prophet. now that I purchased the program and am in the process of setting everything up, I am now working with Amanda Gardner. I feel like she works for me. she understands my business almost as well as I do. she was planning my business growth with me - how the program will grow with me. Now that's special. there wasn't much to dislike. actually I haven't found anything to dislike. when I get some free time, I'll think about it. lol. Any business wishing to grow will need a program like prophet. information is excessive - being able to manage what we have and we have coming is essential to survival. my success is from using my techniques as well as teaching them. the need for prophet is obvious - and anyone who thinks not will not be in business very long. I am a business coach / consultant with many clients - all different sizes and needs. many require working with many vendors/contacts and on multiple inside projects. I can now track multiple projects with multiple players in multiple situations. This problem has been driving me crazy. I am actually excited about being more organized. I feel the difference in my schedule and results as I move forward to this goal. And what is interesting - my desk is now more organized with less junk, papers. I am back to having everything on line and available whenever and wherever I am - at my office or my clients office. Being cloud based is a real plus. side bar: I am part of a global network of approximately 50 business coaches / consultants. we have weekly conference calls where we talk and share new techniques, strategies, suggestions, problems, etc. I will prepare a presentation on prophet as I believe my fellow coaches / consultants would benefit from this program. "Why Avidian Prophet CRM is the smart choice for your business"
If you can use outlook you can use Prophet. No learning curve! If you choose a CRM that takes you out of outlook, then whatever solution you use will not be fully effective. The support has been consistently good over a number of years. The thing I like most about Prophet is it just works and lets me concentrate on looking after my customers. "It has helped us streamline the sales team"
The ability for all to see what is happening with all customers. Doesn't always work well on networks. Reporting could use some sprucing up. Streamlining quotes and tracking of correspondence with customers. Allows the whole company to see customer contacts. "Excellent marriage of CRM & Outlook 2010"
I get to use one program and customize it somewhat to adapt to my business and needs for my customers. It doesn't search and remove duplicates. It requires dedication to adapt to using it and learn all the features available. It doesn't have a library. Often when a lead calls me, it would be nice if I could obtain a script from the library in a few clicks. Make time to watch the training and support videos, they are very valuable. Creation and implementation of automated sales processes, Follow up and Follow through. "Great way to control CRM - Business Development from my own perspective"
Great the way it integrates with Outlook and let's you manage business development, complex relationships at your accounts, notes, follow-up and reporting for your own use. Simple to use - but if you want to get more sophisticated they provide expert business and technical support. Yes you may still need to fill in enterprise CRM data for your company (what a nightmare) but this is more likely to be the tool you use on a daily basis. Some of the more custom features and data fields are not as intuitive as they could be. It is worth getting the full level of service and support in the beginning to help you customize the environment to meet your needs. My role is in business development and I needed a way for me to consistently track relationships and initiatives at a large number of firms over time. "Prophet 7 Review for Outlook 2013"
Very satisfied with Prophet 7, & works great with Outlook 2015. All good with Prophet, now if only Outlook could run as smoothly. If you like using Outlook this is the best CRM I've come across. * We monitor all Prophet CRM reviews to prevent fraudulent reviews and keep review quality high. We do not post reviews by company employees or direct competitors. Validated reviews require the user to submit a screenshot of the product containing their user ID, in order to verify a user is an actual user of the product. Hi there! Are you looking to implement a solution like Prophet CRM?